Looking for an adventure to witness the wonders of an underwater paradise? Or if you are seeking new challenges in the vast ocean, we have a dive trip for you! Our passionate and dedicated crew will be by your side to ensure that your trip with Gill Divers will be an enriching and fulfilling one, leaving you wanting for more! Having your own equipment would help you enjoy your dive in numerous ways! You would feel more comfortable, confident and safer in the water… not to mention look better in all the pictures and videos. 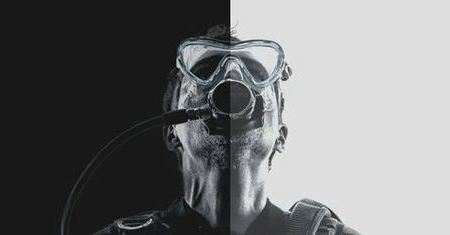 We believe that diving should be as safe as possible and part of that involves having the right equipment for you. At Gill Divers, we offer a wide range of equipment from well-known brands like Poseidon, Scubapro, Mares, Seac, Suunto, Gull, Tusa, Aropec, Zeagle, Halcyon, Gul and many many more. Check out our store today! Experience the best scuba diving in Singapore with Gill Divers. We went to over hundreds of dive destinations in Asia and certified thousands of divers in Singapore since 2003. You can be next! Subscribe to our newsletter below to hear our latest stories!